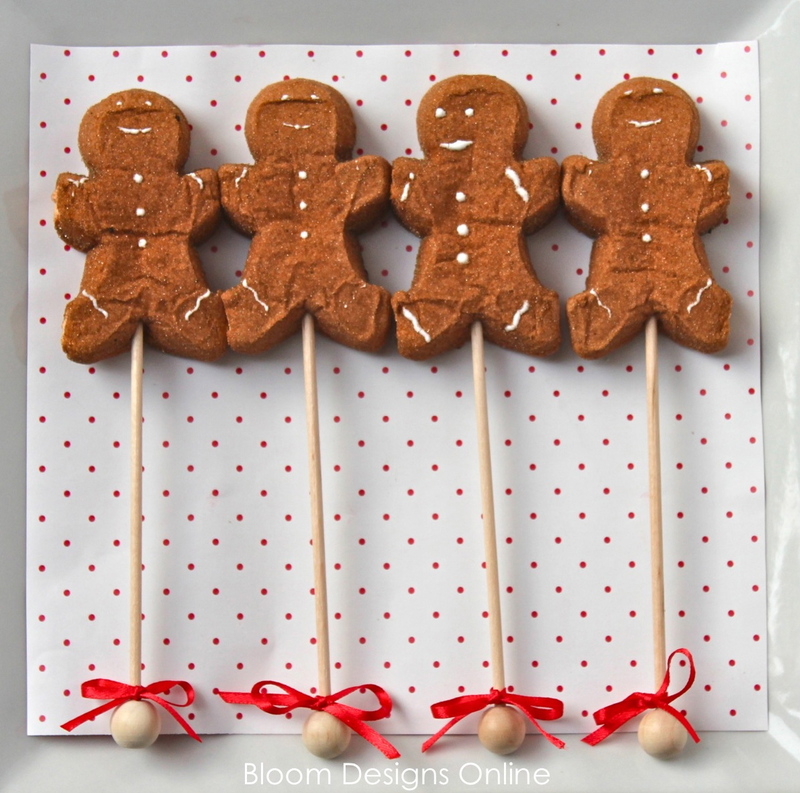 bloom designs: Merry Christmas Peeps! 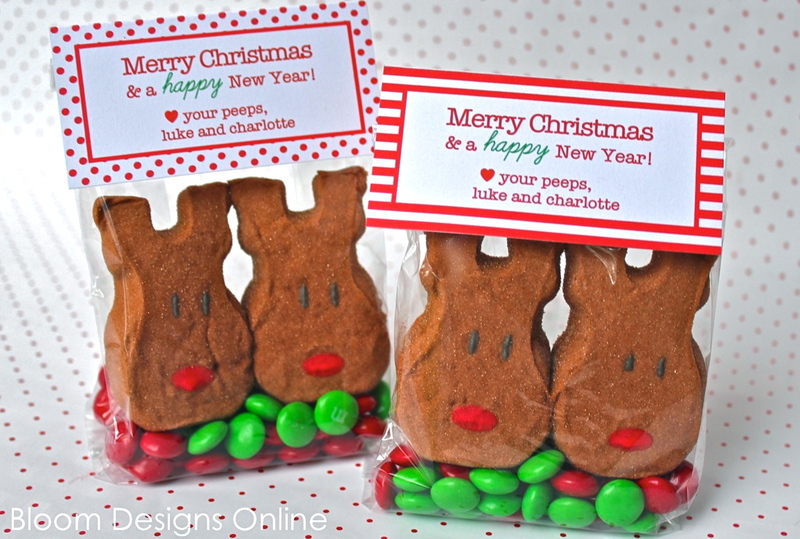 I shared these Reindeer Peeps last year, So to the 10 of you that read my blog then, I apologize:) but I really wanted to share one last post on this fun product. I just love Peeps. 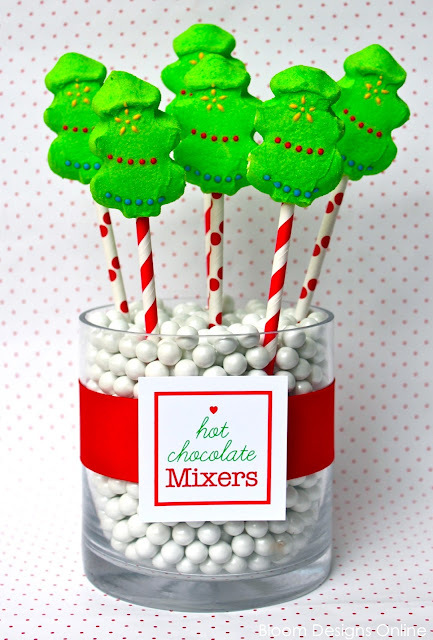 They're festive, inexpensive and easy to dress up. I didn't want this holiday to go by without a few Peep inspirations. 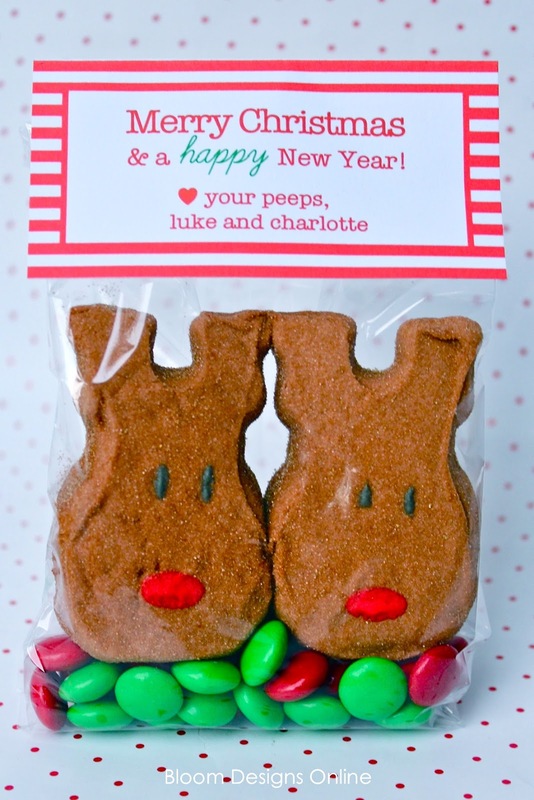 The toppers for the peeps bags are available for download here for one name and here for more than one name. One a personal note, thanks to my reader who have helped me reach 1,000 sales on Etsy. Your support has been ah-mazing! Oh they are so very cute. So kind of you to offer the toppers too. These look great. 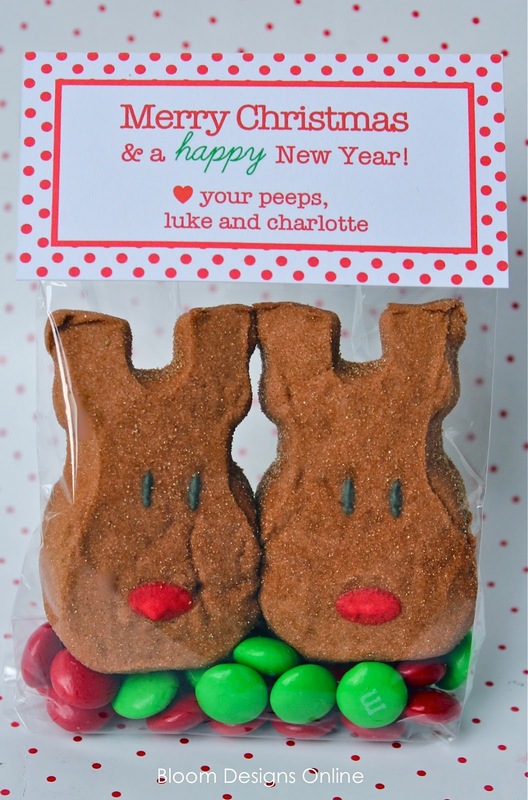 Do you make the peeps yourself or buy them? These are so adorable..Thank you for sharing! Love the bright green of the Christmas trees! I'm so glad I'm a reader now. These are adorable! I'm a Peep lover and these are darling! Thanks tor sharing again! Those look cute :) I've never seen them here in the UK, are they marshmallow? very clever. I love to use Peeps in Hot Chocolate and this would be such a cute way to do it.. or make a hot choco gift with the decorated peeps, chocolate mix (the homemade one with Nesquick, powdered milk etc) or some really good chocolate and a pretty cup.